Joomla is one of the most reliable and popular CMS out there, used by millions for building their sites, blogs, etc. It comes with a wide range of extension options for template customization, which with the help of a professional developer can really help in building incredible websites. PSD to Joomla conversion enhances your website functionality and makes it unique. Converting static website, off-the-shelf Joomla extensions etc. Ink Web Solutions has a qualified and trained team for PSD to Joomla conversion. Our services are high quality and our delivery is time-bound to our global clients. To back our claims we offer a money back scheme. Our Joomla website designers integrate and customize multiple image formats into Joomla theme/ template. Our turnaround time allows us to get you started on Joomla eCommerce quickly. Chandigarh's Leading PSD to Joomla Conversion Company ! Ink Web Solution provides PSD to Joomla Conversion services in Chandigarh, Mohali, Himachal Pradesh and India. We aim to render an optimum level of satisfaction through remarkable PSD to Joomla template solutions. We develop websites that are powered by Joomla using the designs that clients give us in image formats like PSD, jpeg, PDF, etc. 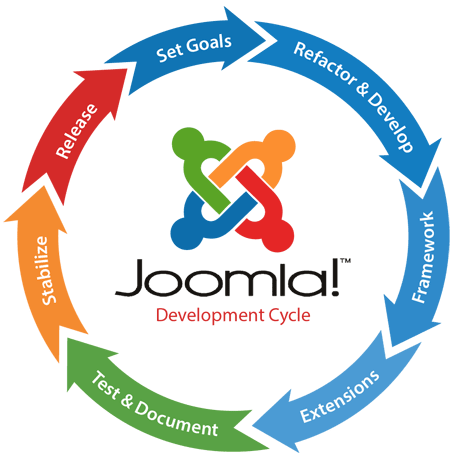 our developers do the tedious work of converting PSDs into Joomla templates with extensive coding, so that you get a fluid, polished and operational website.